Managerless Ross County have made three new signings with Michael Gardyne, Darren Barr and Jackson Irvine all moving to Victoria Park. 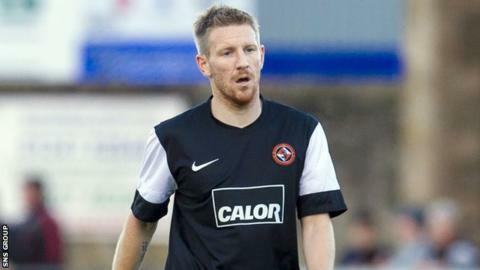 Gardyne, 28, has signed up for a third spell at Ross County, agreeing a loan deal from Dundee United until January. The striker scored 32 goals in 173 appearances in his previous stints with the Dingwall club. Irvine has joined on a season-long deal from Celtic, while free agent Darren Barr has signed a one-year contract. Gardyne first joined the Staggies on loan from Celtic for the 2006/07 season. He returned to County in 2008, helping the club reach the 2010 Scottish Cup final and winning promotion to the top flight. The Dundee-born forward moved to Tannadice in the summer of 2012, having agreed a pre-contract in January. He scored three goals in his first season with United and spent the last campaign on loan at Kilmarnock, scoring once. Both Barr, 29, and Irvine, 21, also spent last season at Rugby Park and the trio will be reunited in the Highlands as the club seeks a replacement for Derek Adams who was sacked after starting the season with four league defeats. Barr had been training with Partick Thistle during pre-season but Firhill boss Alan Archibald decided not to offer him a deal.